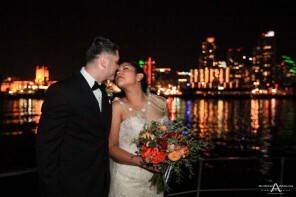 Beautiful Affordable Wedding Album Photo Book -for a nautical wedding I shot in San Diego, California. 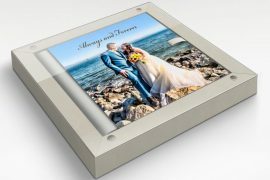 Shown with optional presentation box with transparent cover. 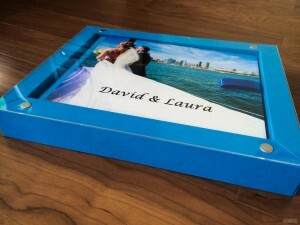 Book with box can also stand vertically for display. 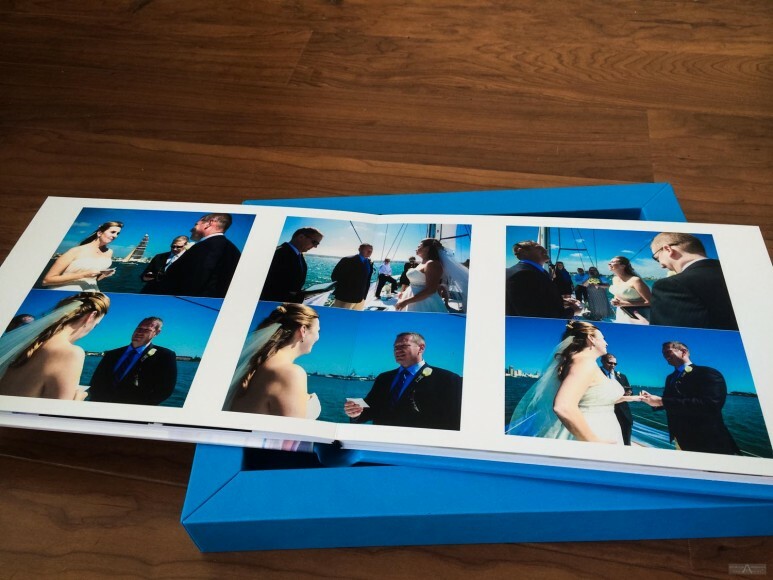 A beautiful affordable wedding album photo book should be part of any couple’s wedding photography, and it’s why I offer it with all of my San Diego, California wedding photography packages. The wedding album (or photo Book) is a collection of a couple’s most favorite photos, presented as a story in the highest quality book available anywhere. 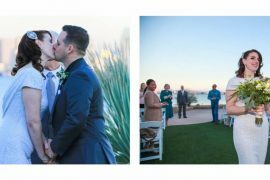 This collection of professionally prepared images are printed onto the finest quality pages, then bound in a book that will last lifetimes. 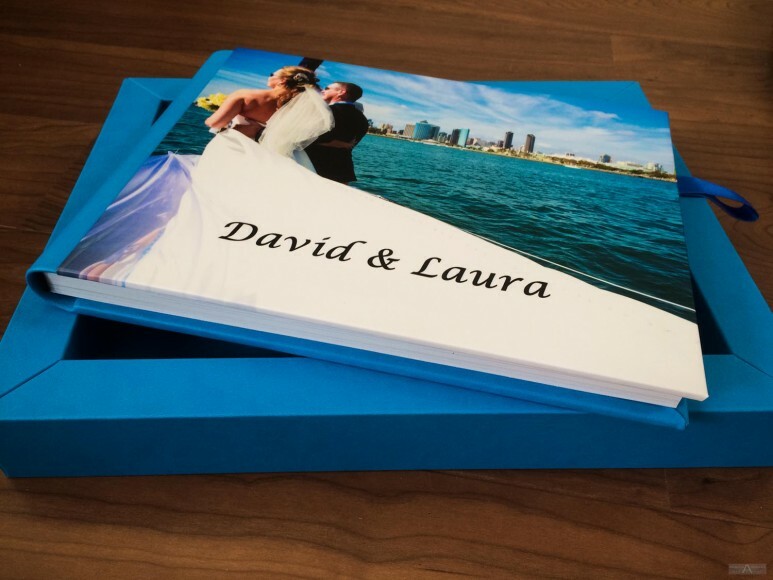 Having an heirloom, beautiful affordable wedding album photo book means having your wedding memories available at your fingertips so that you can always see and touch the memories from your special day. 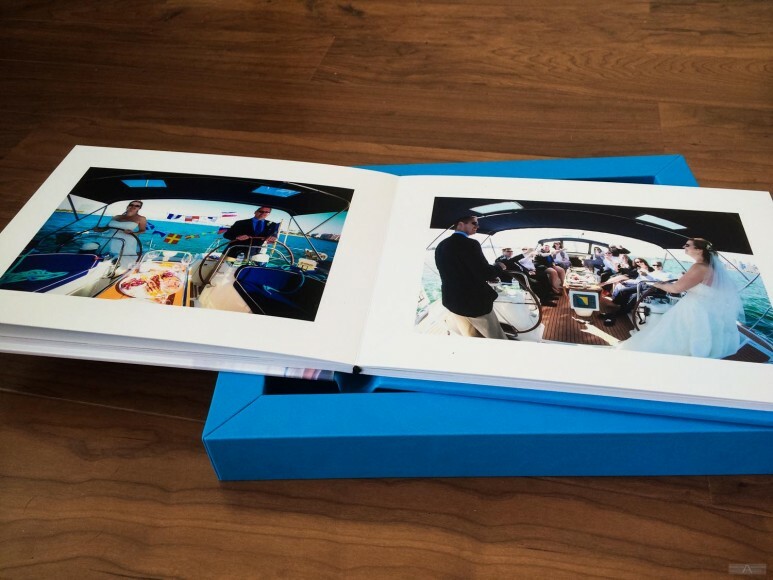 And because the books are made with such quality and will last lifetimes, means their durable, archival and thick pages and perfect binding will last for your lifetime and those with whom you pass the book onto. 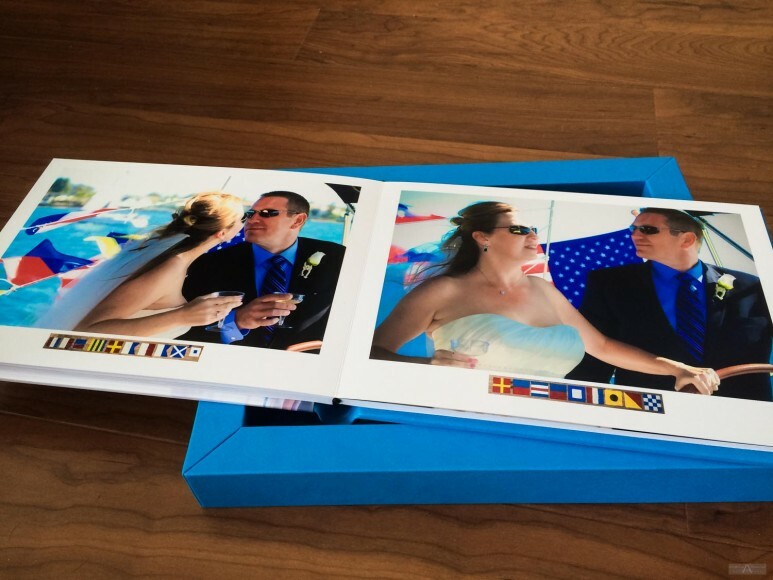 An affordable wedding album photo book, like the one shown here of a nautical wedding, is the very best way to preserve and present your wedding photos. 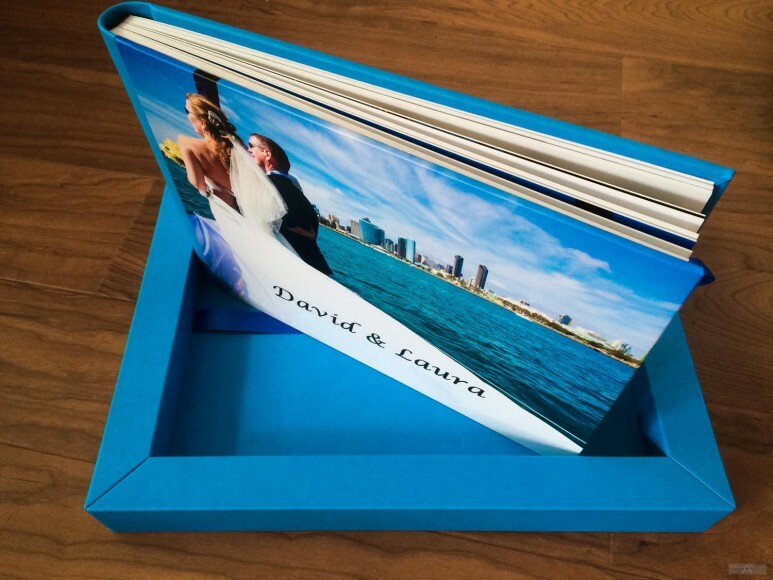 Available in sizes like 8×8″, 8×12″, 9×13″ and others, the 20+ page book means you can enjoy dozens of 8×10 or larger size prints without the cost having to frame each one, or deciding which ones to frame because you can have them handy to view and share in beautiful one place! 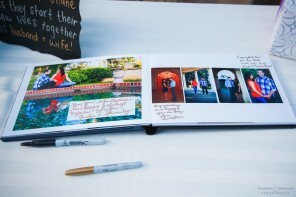 Contact me to learn more about creating your beautiful affordable wedding album photo book.